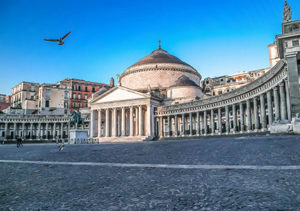 Naples may be one of the oldest continuously inhabited cities in the world, but it has much to offer the modern world. From the largest roman architectural museum in the world to a close proximity to the ancient city of Pompeii, a holiday in Naples is a trip through time. Thanks to ShoreTrips, you are going to learn more about this great city. 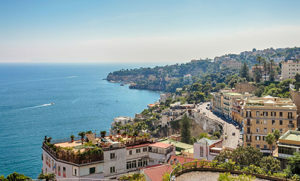 Naples rests in southern Italy, on the Bay of Naples. Recorded history dates the first inhabitants of this ancient city to second millennium B.C. The city eventually became a colony of the Roman Empire, making it an important hub for Greek culture to merge with Roman culture. Modern Naples has the largest historic city centre in Europe, which is 4,200 acres (1,700 hectares) and includes 27 centuries of history. The city centre is listed by UNESCO as a World Heritage Site. The influences it had upon the Renaissance and Enlightenment eras are noticeable within the beautiful art and architecture displayed around the city. The Museo Acheologico Nazionale is the largest museum of roman architecture in the world—even greater than the National Museum of Rome. This museum has objects and wall paintings from Pompeii, and other excavation sites around Naples. It also has a vast collection of Roman statues on the first floor, which includes an audio guide to learn more about their history. The Grotta di Seiano is an artificial cave underneath the Posillipo neighborhood. The cave leads to an ancient Greek theatre overlooking the sea. These sites are only a portion of the amazing history found in Naples. Naples is also known for its historic castles. The Castel Nuovo, the city’s foremost landmarks, was built during the reign of Charles I, the first king of Naples. The Castel dell’Ovo (“Egg Castle”), the Sant’Elmo, and the Carmine Castle are a slice of history portraying shifts of power in a city shifting through the sands of millennia. Pompeii, the infamous site of destruction from Mount Vesuvius, has been a historic site to visit for over 250 years. With millions of visitors a year, it also a UNESCO World Heritage Site. Here, you can find many, different sites unearthed from under the ash of a volcanic disaster. The earliest surviving, and best preserved, permanent amphitheatre in Italy is located in Pompeii. The streests are cobblestone, with deep cart tracks from ancient times. The Temple of Apollo stands as the ruins of a once great building to the god of music. The island of Capri has been a resort since the time of the Roman Republic. It lies off the coast of Naples, and is 4 square mi. in area (10/4 km). Being a popular tourist spot by day trippers from Naples, it is accessible by ferry or hydrofoil. A few sites to visit are the Gardens of Caesar Augustus, the Punta Tragara, and the ruins of Tiberius’. No matter what site you choose to visit in this historically important area, a sense of awe will accompany you. Oh, that and the amazing Italian dishes to tantalize the taste buds. So, give Naples a visit with ShoreTrips, because knowing history helps us see the future. Your adventure begins with a trip to Capri, either by hydrofoil or ferry. Upon arrival, your guide will be waiting at the picturesque marina at the base of the island. Now, you’ll embark on an exciting private boat tour in a traditional wooden gozzo. The Amalfi coast may be a little overwhelming for those of you who are visiting for the first time. This tour will allow you to pick and choose what you want to see and do, accompanied the whole time by an English-speaking driver. 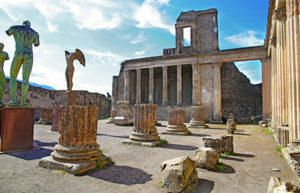 When you reach Pompeii, your private, local licensed guide will take you on a fascinating two-hour tour through this amazing place. Listen to your guide as he tells you the history of the city as you take in the baths, villas, theaters, and wrestling grounds.